Canada's western province of British Colombia has some of the highest concentration of trees in North America. While many are of the coniferous variety, the province also has large areas of deciduous trees which turn to brilliant colors in the Fall Season. 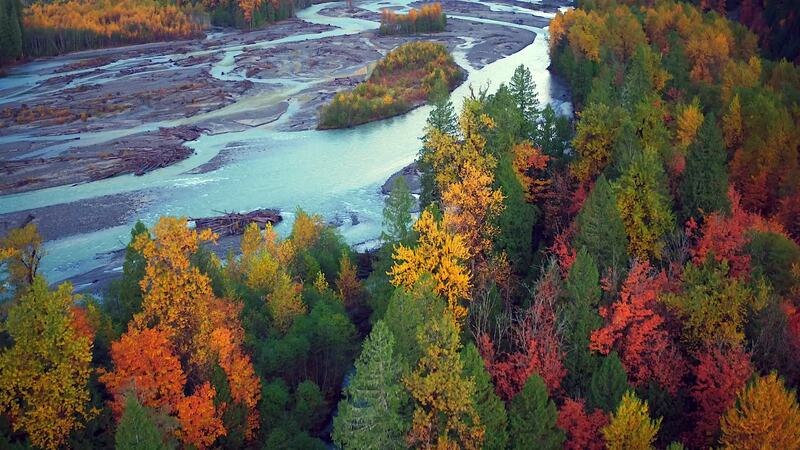 Contributor Aerial Eye Visuals gives us an epic look at the Fall colors along BC's Squamish River in this amazing drone video.